Jerry is known and valued for legal counsel that supports his client’s vision and is delivered both on time and on budget. Persistent and dedicated to establishing and maintaining a foundation of trust with each client, Jerry continuously cultivates the right team of lawyers needed to deliver ongoing and complete client satisfaction. 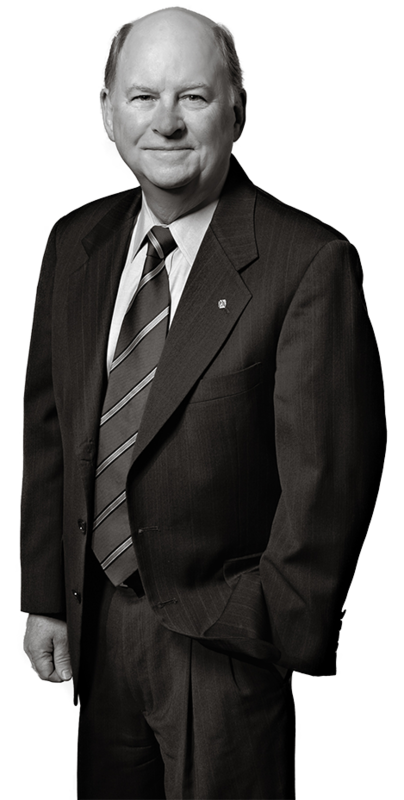 Jerry prepares and prosecutes complex patent applications, negotiates and documents technology-related transactions, and is involved in a variety of litigation matters. With more than three decades of experience advising corporations at all levels of activity in the U.S., Asia and Europe, Jerry develops strategies that integrate his clients’ IP into their overall commercial agenda. Jerry develops patent portfolios based on internal invention and external development programs. He negotiates and prepares a variety of technology transactions, such as agreements involving evaluation, consulting, technical service, R&D, website hosting, supply and distribution, outsourcing and asset purchasing, joint ventures and software licensing. Additionally, Jerry advises on the establishment of IP systems, reporting structures and “standard agreement” packages to help clients better comply with the requirements of Sarbanes-Oxley. Jerry is also involved in conducting technology audits and evaluations of target and third-party assets for M&A, licensing and similar transactions, as well as structuring and conducting worldwide licensing-out programs to generate millions of dollars from idle technology, including the licensing of patents, trade secrets and proprietary know-how. In addition to advising large, international companies, Jerry works with emerging companies regarding their strategic creation, exploitation and management of IP assets, and in creating programs to implement such objectives. Jerry previously served as the Director of Licensing and Technology Development at Eastman Kodak Company, and prior to that as Vice President and General Counsel of M&SD Corp., which was acquired by EDS. He also served in the U.S. Air Force (1971-1977) as an Avionics Engineer on the B1-A program, and later in the Office of the Judge Advocate General.